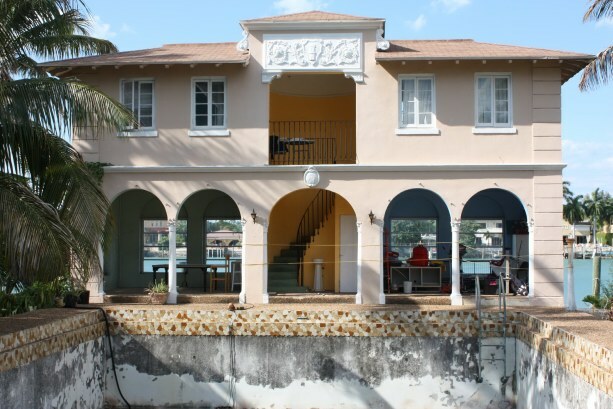 Sold to Capone by Herbert A. Abele through Parker Henderson in the early summer of 1928. 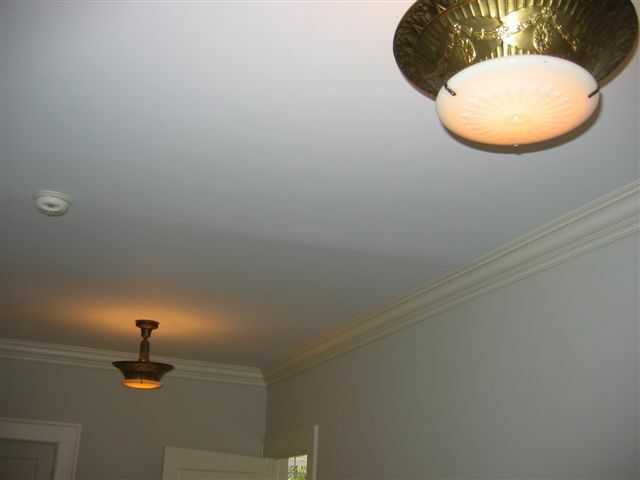 Mr. Abele sold lighting fixtures in Miami. 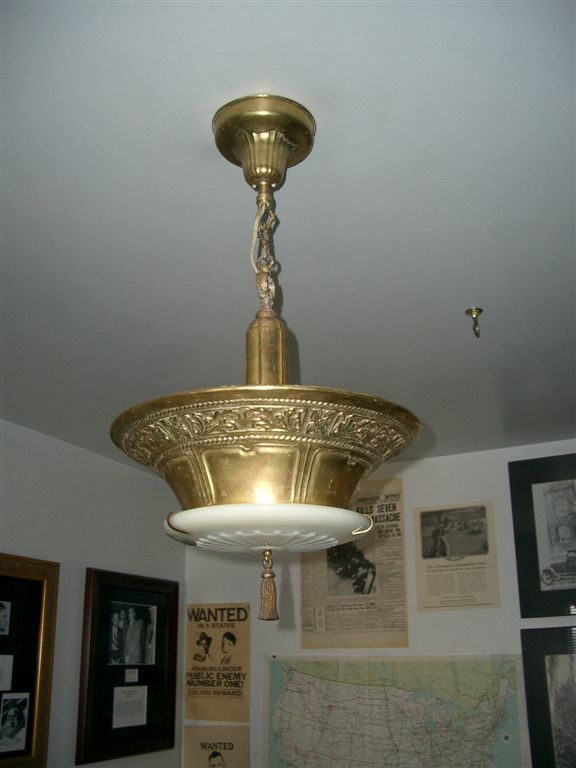 Al Capone's (1920's) Duplexalite ceiling light fixture. Al Capone had several of these in his estate. It was generously given by Mr. Hank Morrison as a momento of my visit there. 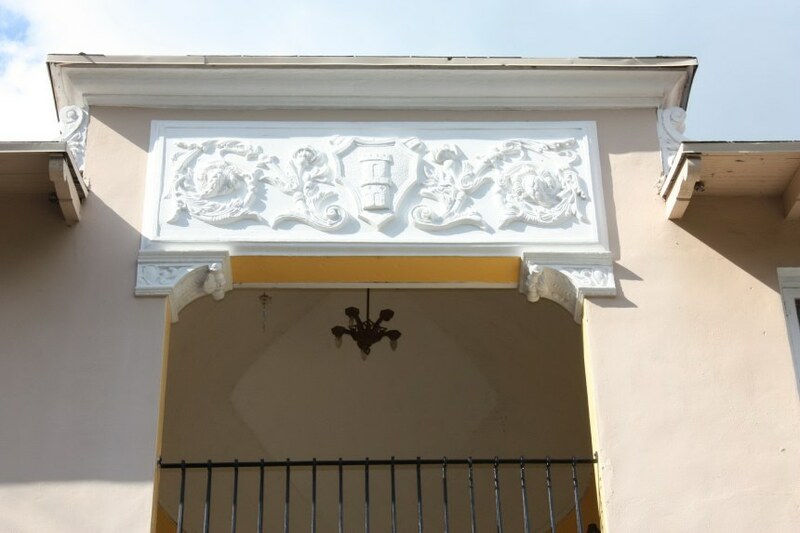 A previous occupant before Hank had the not so bright idea of painting it white. After some paint stripping and a little elbow grease to remove the white paint, I brought it back to what it originally looked like. I re-wired it and added a hanging chain for head clearance, only because these were for high ceilings and my ceilings are slightly lower. A piece of Palm Island in my Room of Doom. Duplexalite was made by the Duplexalite Corp. in New York city. They were associated to General Electric. 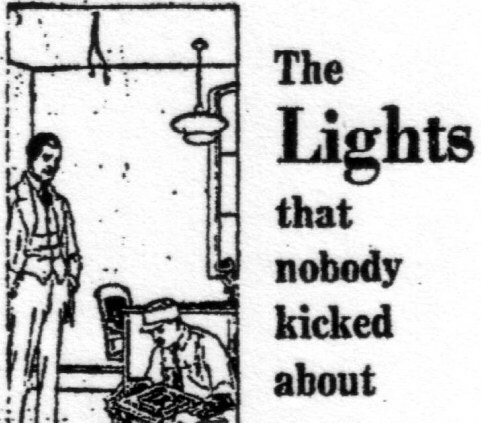 There are three patents for them circa 1918-1922. 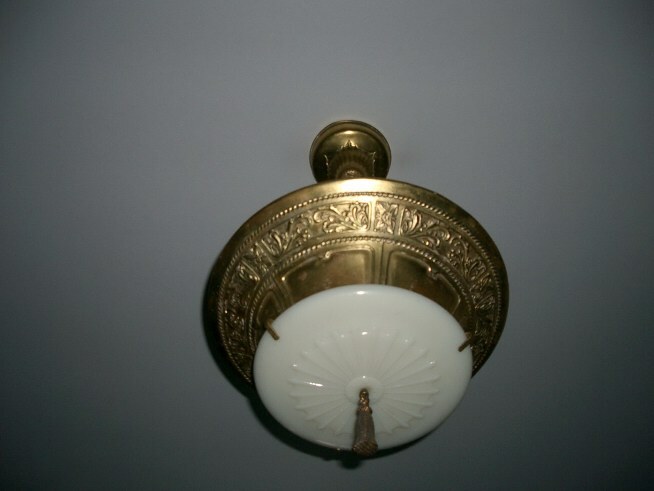 These lights were mainly popular in the 1920's to the late 1930's, and were seen around as late as the 1960's. There is a photo of them hanging above John F. Kennedy while he was in office. 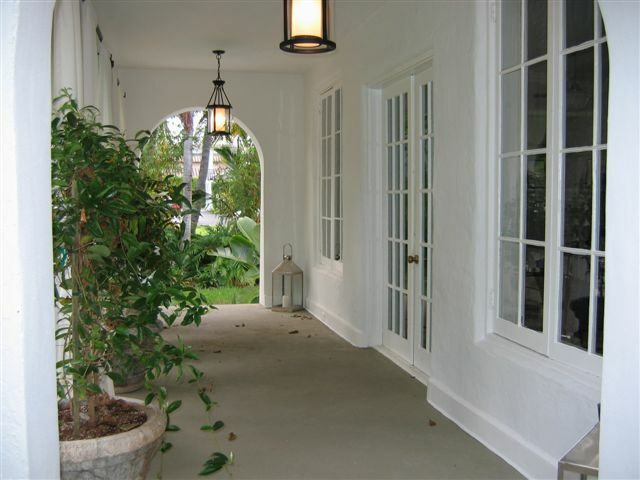 Same duplexalites seen throughout the Palm Avenue home. 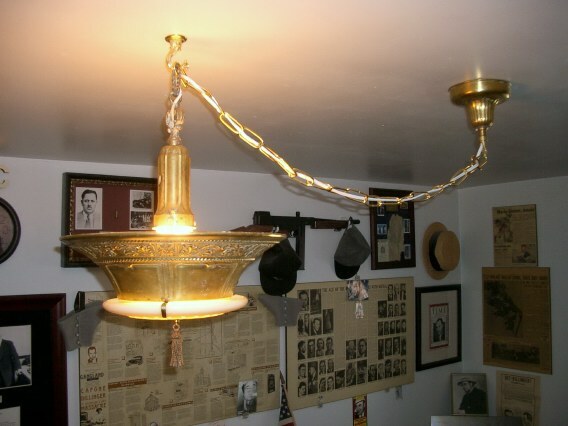 Al Capone's 93 Palm Avenue light fixture restored. Al's light shines once more! I've since removed the chain and extra wiring and put it back in it's original state. The weak and old 1920 prongs holding the glass were replaced with new ones. One of the metal prongs/rods that held the glass in place broke at the thread, but luckily I found master craftsman Dan Block from Iowa who saved my life and light. He made new identical ones. 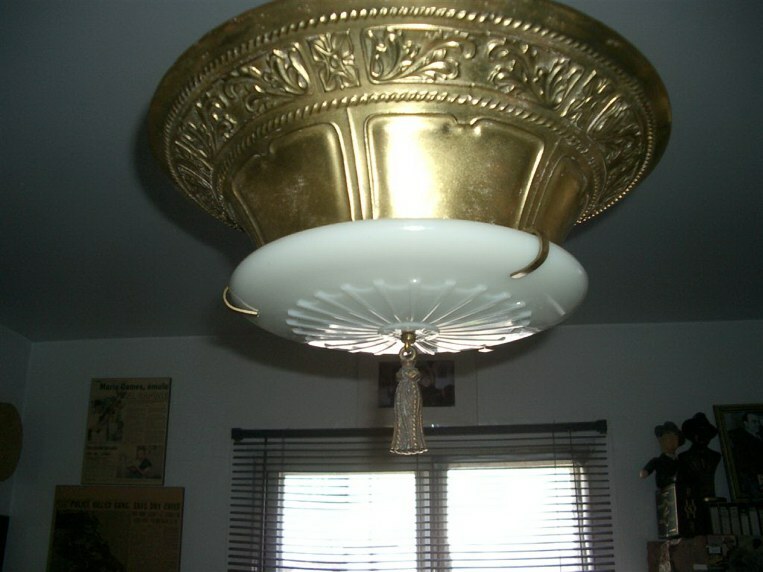 So the Capone light will keep on shining thanks to him. 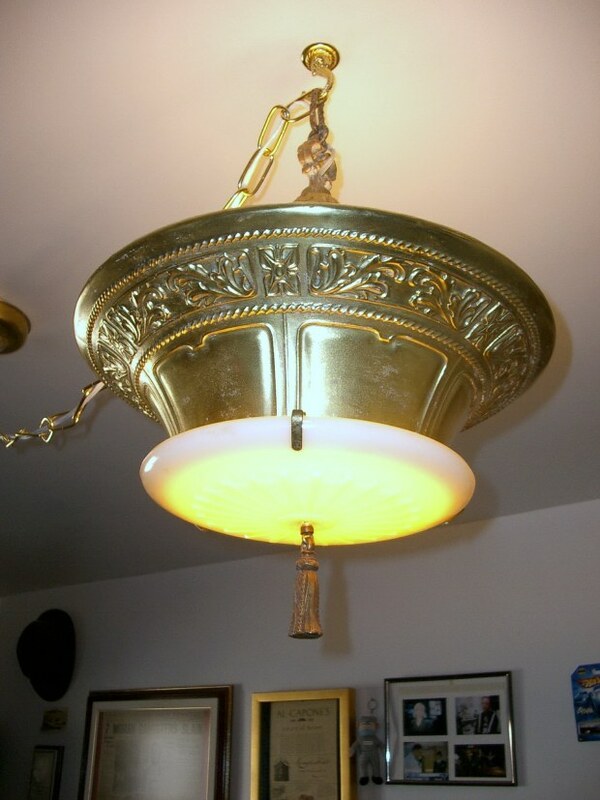 Three light, 1920's crown type ceiling fixture that once hung in the porch of the Capone estate. 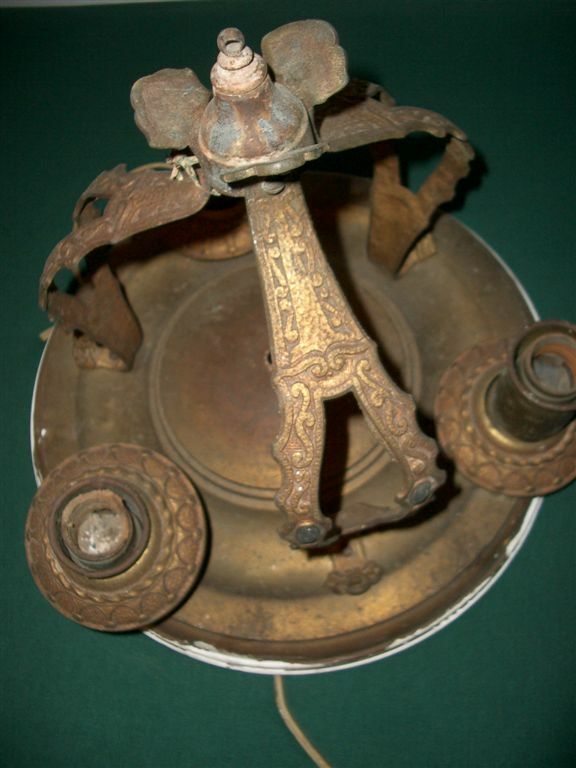 I will fix the sockets, but will leave the patina untouched. Thank God they didn't paint this one! Well, at least only the edges where the ceiling was painted. 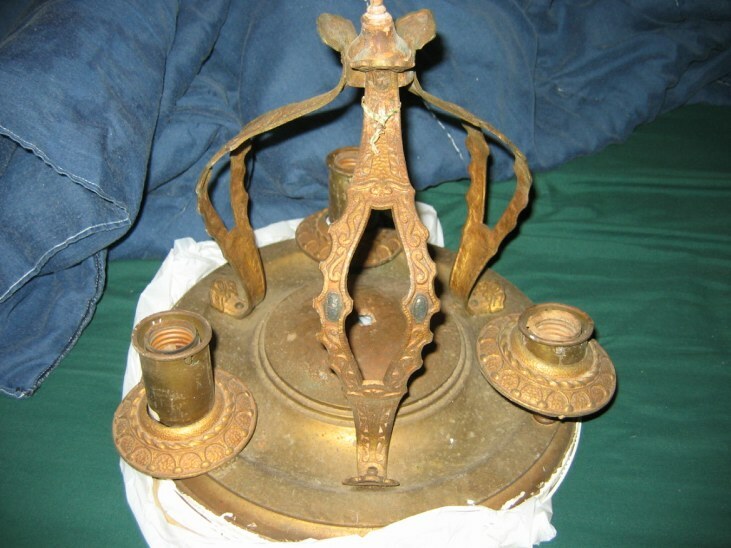 The porch where this light used to be back in the Capone days..
How ornate things were back then. 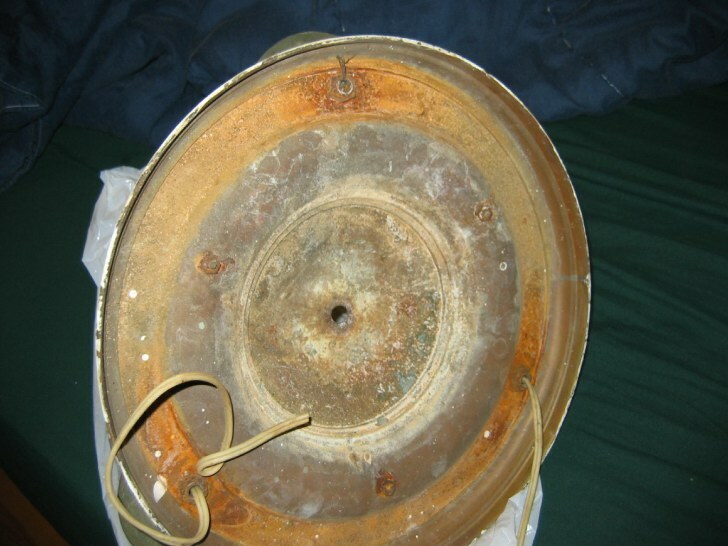 Back of Capone light fixture. A future re-wiring project for me. As Hank told me, It'll keep me out of the bars. 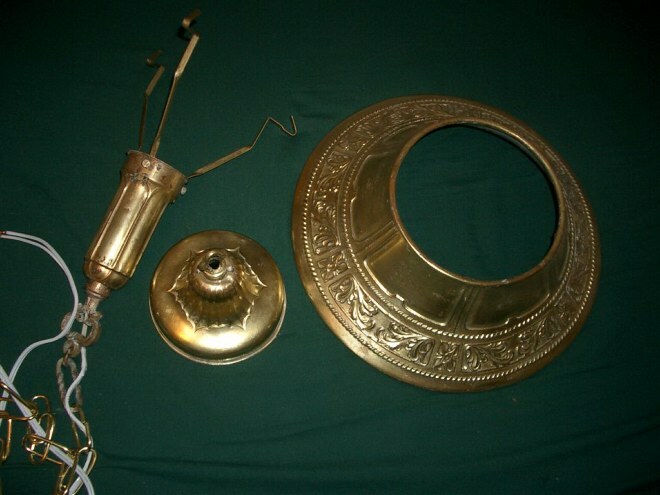 My special thanks to him on donating the two fixtures for the online museum. You can't see the light from this angle, but if you get closer you will see it in the next photo. 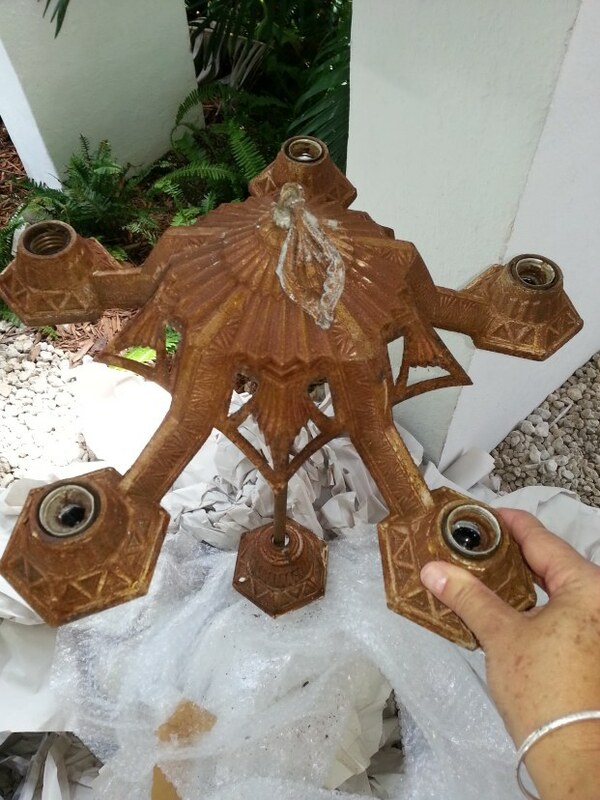 Light fixture that once hung in the top floor of the pool cabana. Special thanks to Diana Martinez and Magaly Acosta for taking care of sending ot to me.